Christopher Nkunku’s agent has confirmed that his client is unlikely to leave Paris Saint-Germain this month amidst interest from Arsenal in the Premier League. 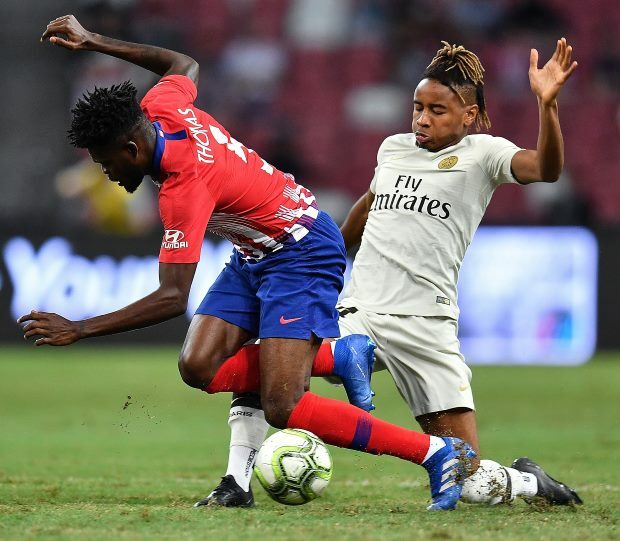 Nkunku, who is a product of the PSG academy, feels that he needs to leave the Parc des Princes to enjoy regular first team football. The 21-year-old has been a bit-part player under Thomas Tuchel this term and has courted serious interest from Arsenal, who wanted to take him on loan with an option to buy at the end of the season. However, Nkuknu’s agent has now confirmed that the player is unlikely to leave Parisians before the transfer deadline on Thursday night. Jean Pierre-Fanfan admitted that Arsenal’s financial constraints this month are hindering them in launching a move for Nkunku and revealed that his client is set to remain in Paris for the remainder of the season. "If I'm here tonight, it is not a good sign [for the departure of Nkunku]”, Pierre-Fanfan told French broadcaster Canal+'s Late Football Club on Tuesday night. “There is a real interest from Arsenal for Nkunku, but the deal is quite complicated. "Arsenal have restrictions and are not in a situation to make permanent transfers this month." However, Pierre-Fanfan went on to claim that a deal could be considered in the summer, especially since Nkunku will be entering the final year of his contract at the French capital and is interested in a reunion with Unai Emery. “The situation will have to be studied in June and with only one year remaining on his contract then, the deal could be evaluated”, he added. “He is a young boy, who needs to play regularly and be a part of a project, that’s what he is looking for. “He was in tune with Arsenal, but the deal seems complicated. Nkunku, who has represented France across various age groups, has been restricted to under 500 minutes of playing time in Ligue 1 this term.